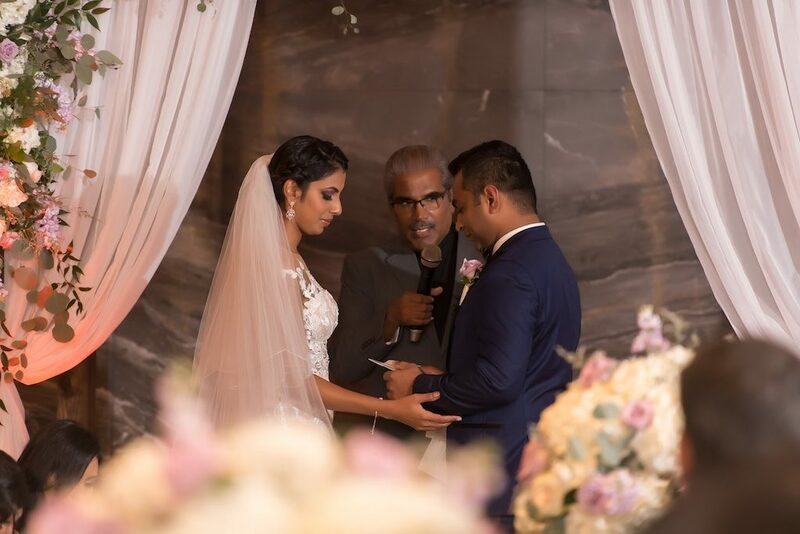 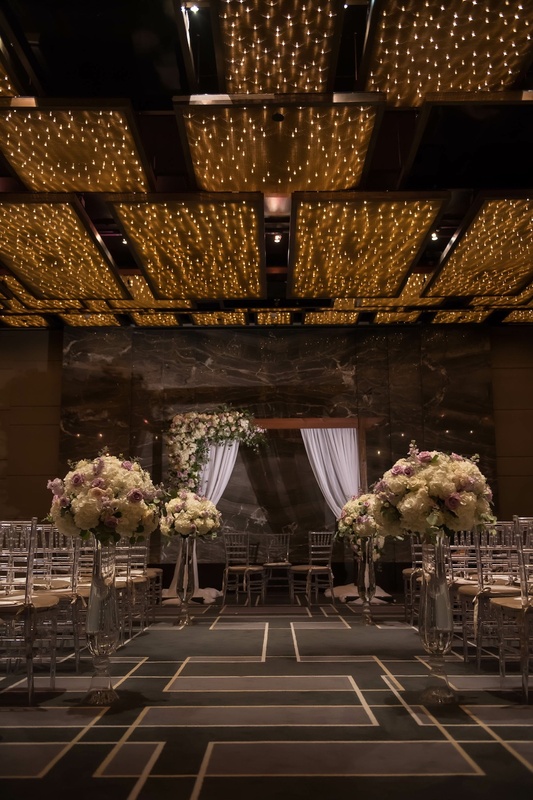 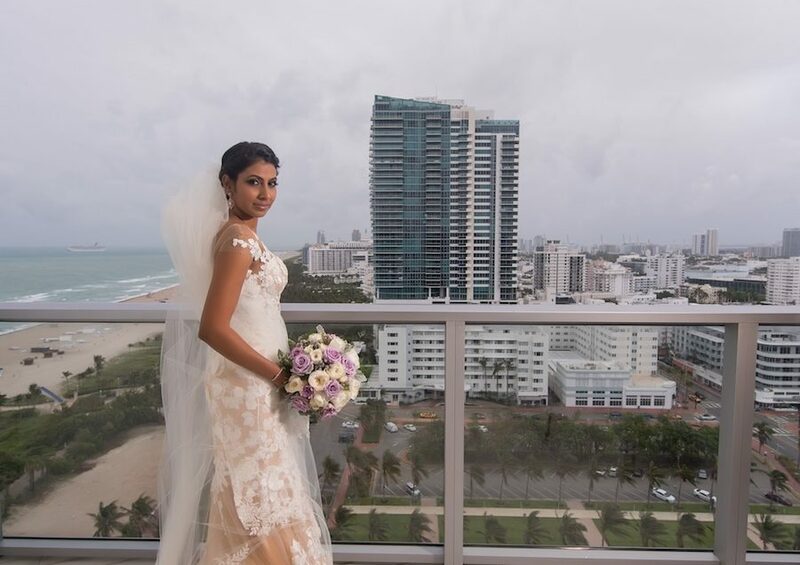 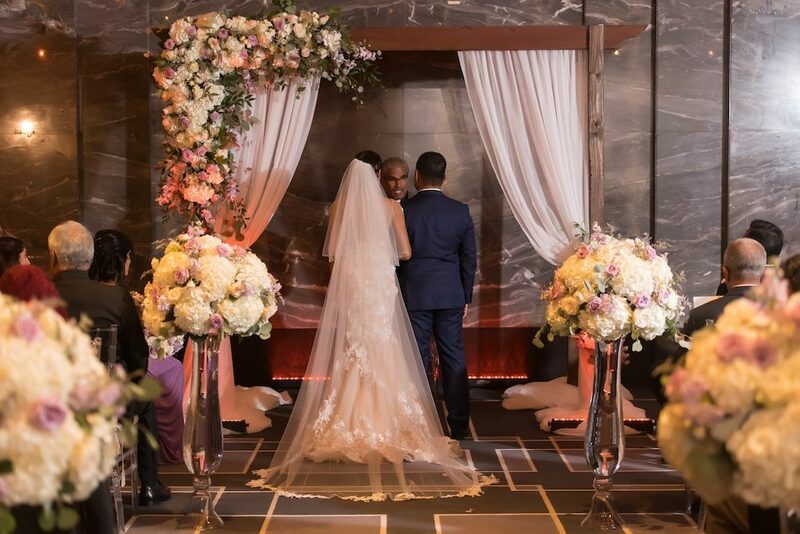 The gorgeous W Hotel South Beach was an elegant and romantic backdrop for Pedro and Raiyah’s elegant lavender and cream themed wedding. 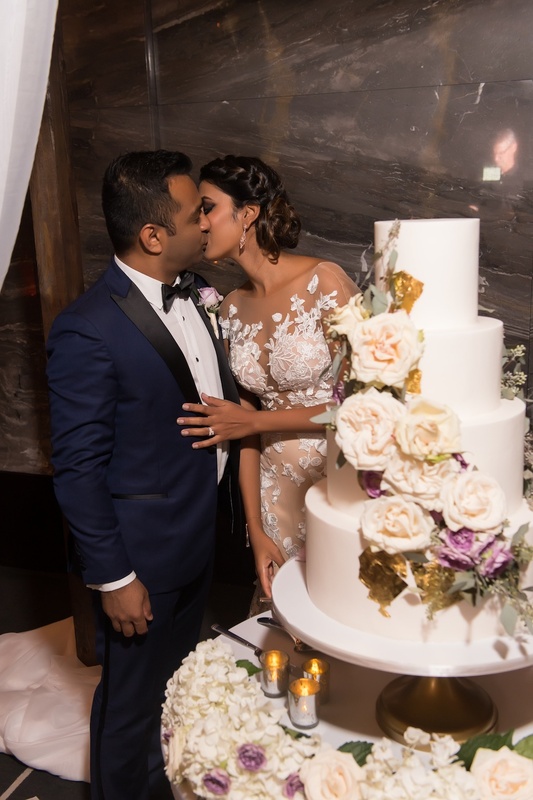 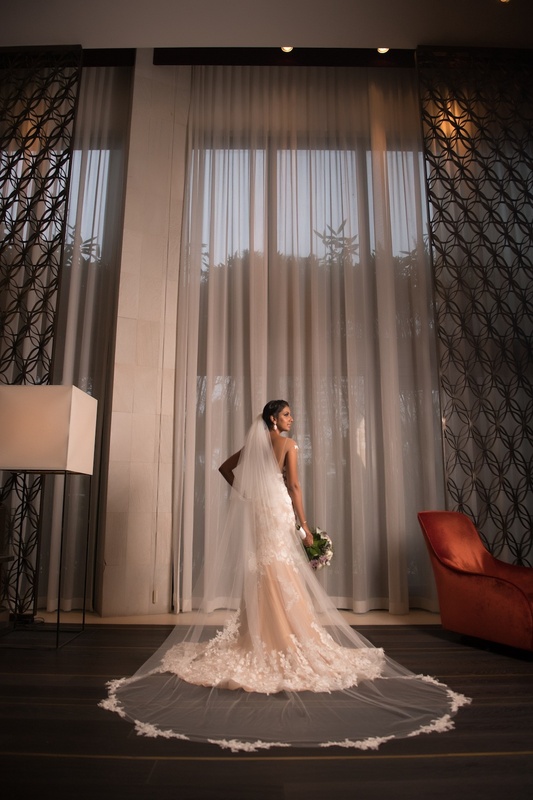 Raiyah’s whimsical tan and cream-colored gown with a lace floral accent complimented this stunning bride in such a beautiful way. 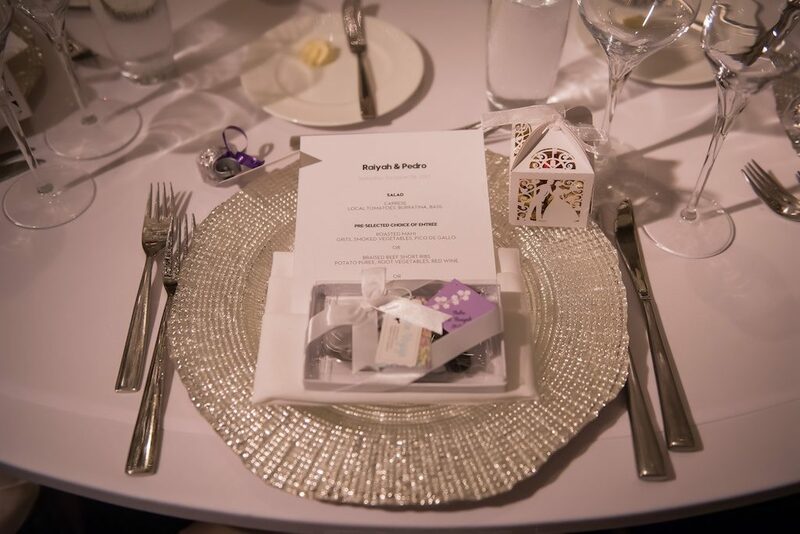 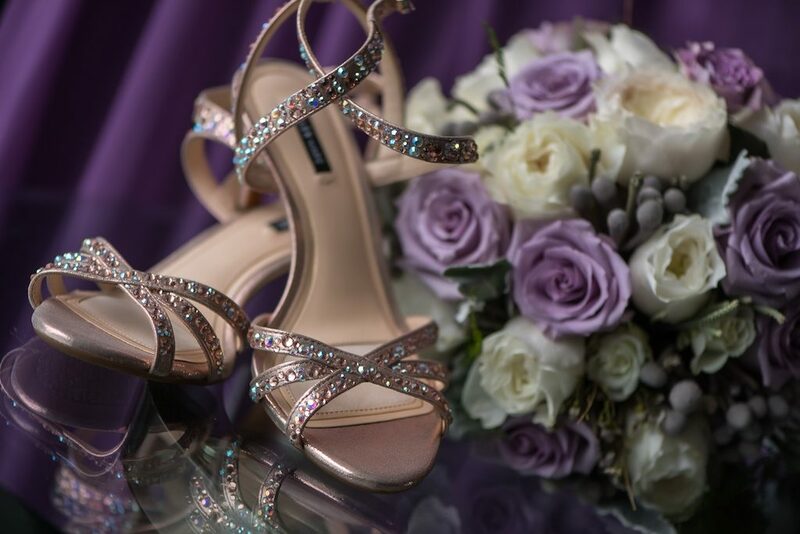 Classic sparkles adorned the brides’ shoes and earrings as she shined on her very special day. 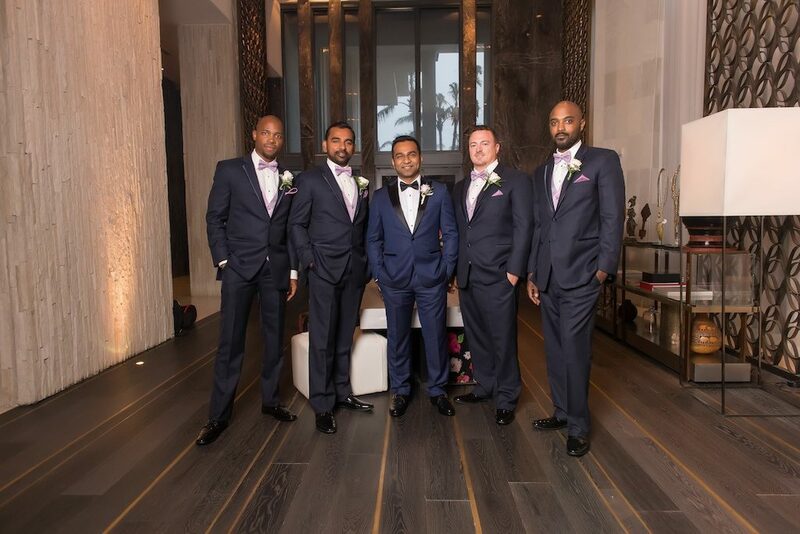 Pedro’s deep blue Tuxedo with black lapels emphasized the color scheme of the Bridal party ever so nicely. 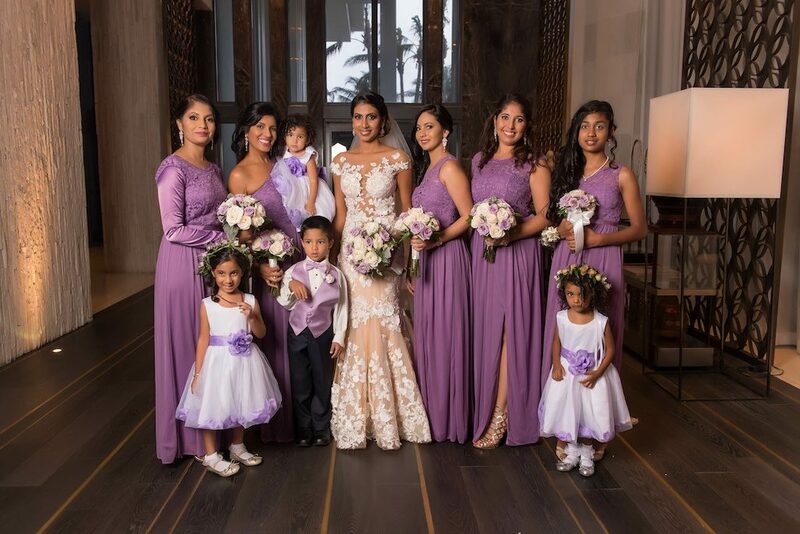 The lavender bow ties on the groomsmen beautifully complimented the bridesmaids’ floor length gowns with lace accents. 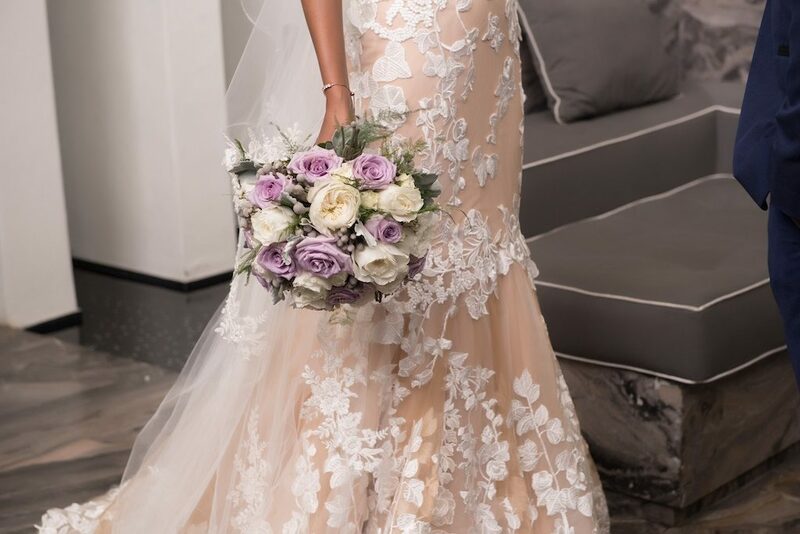 Even the couples’ adorable dogs were a part of their special day as they were dressed in a charming tuxedo and darling dress. 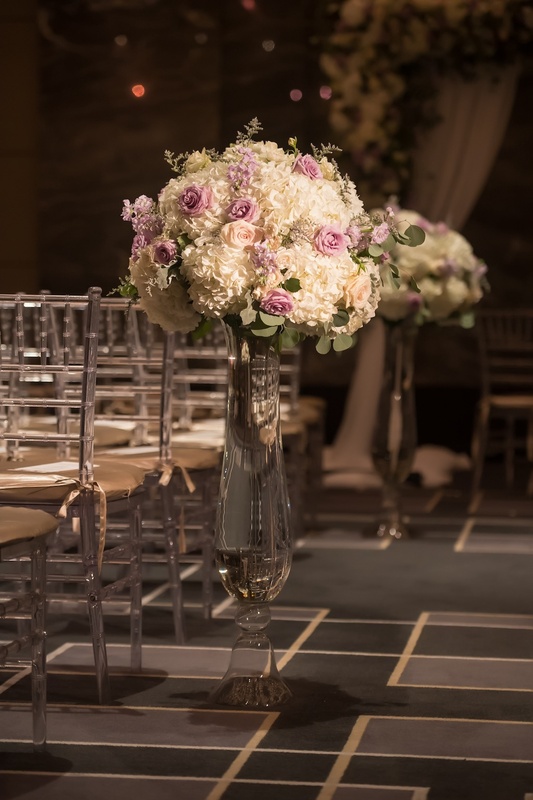 Lavender and creme floral arrangements in gorgeous tall vases lined the aisle during the gorgeous ceremony. 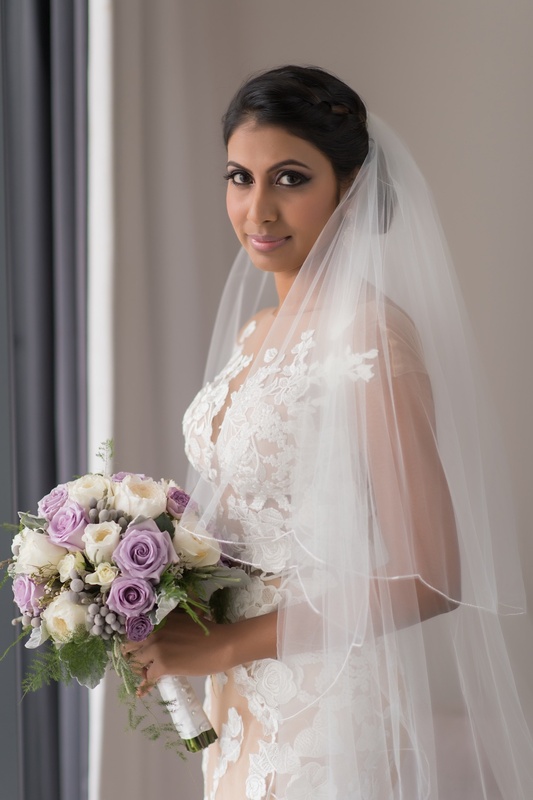 The altar was beautifully draped with a white sheer curtain against a rustic frame. 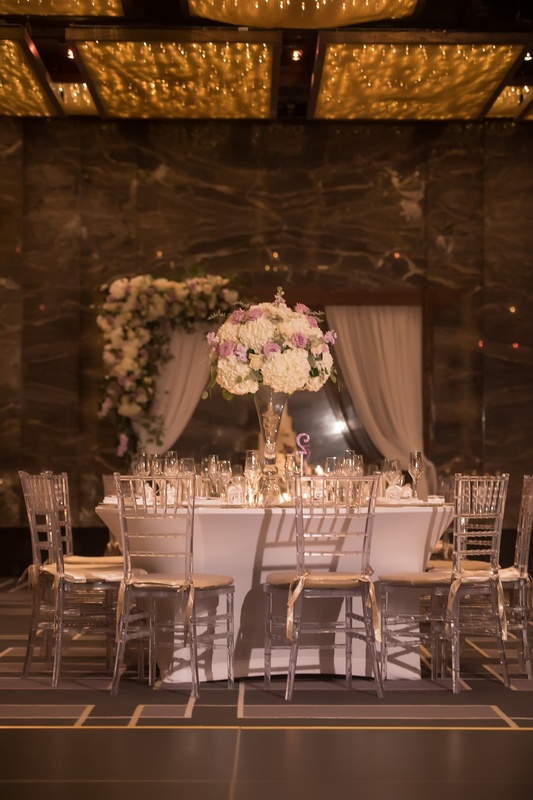 An elegant floral accent was placed on the upper corner of the altar as lavender and cream florals and foliage accented one side of the altar. 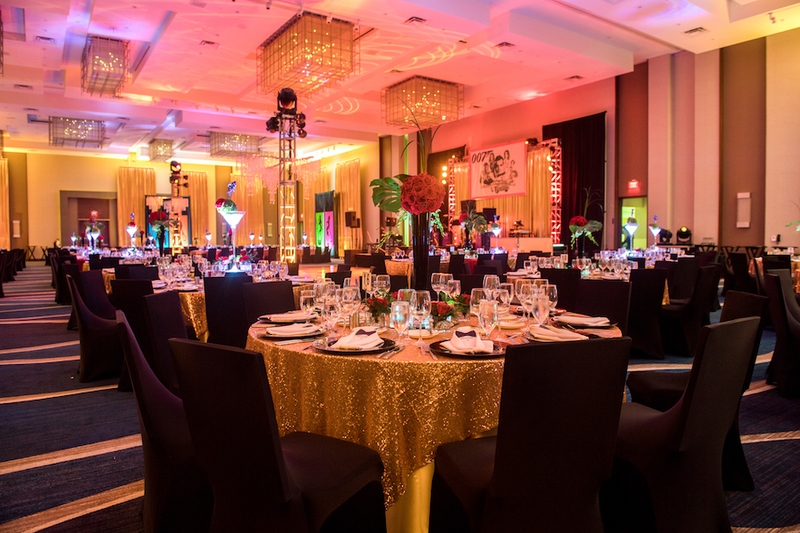 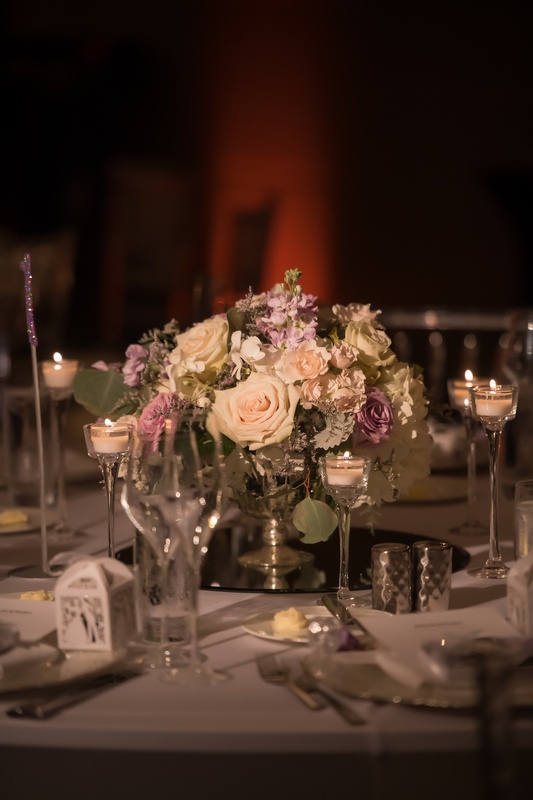 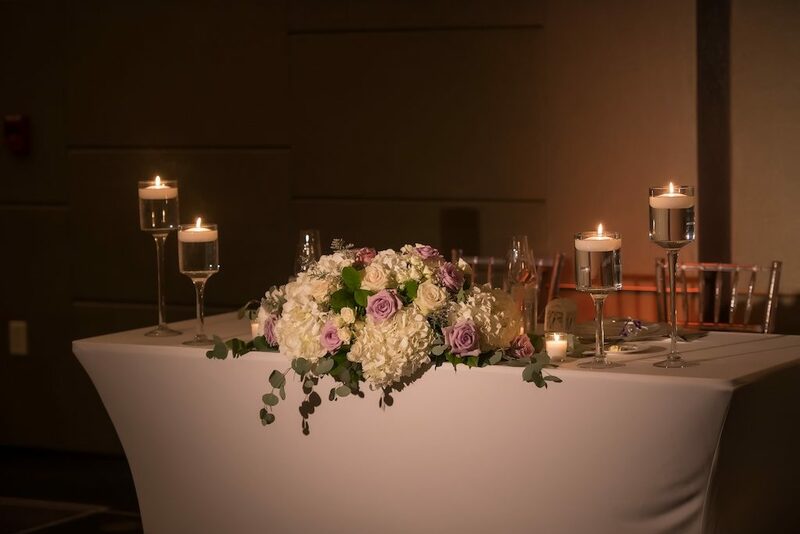 For the reception, centerpieces of the gorgeous lavender and creme floral arrangements were an exquisite addition to the tall vases with floating candles. 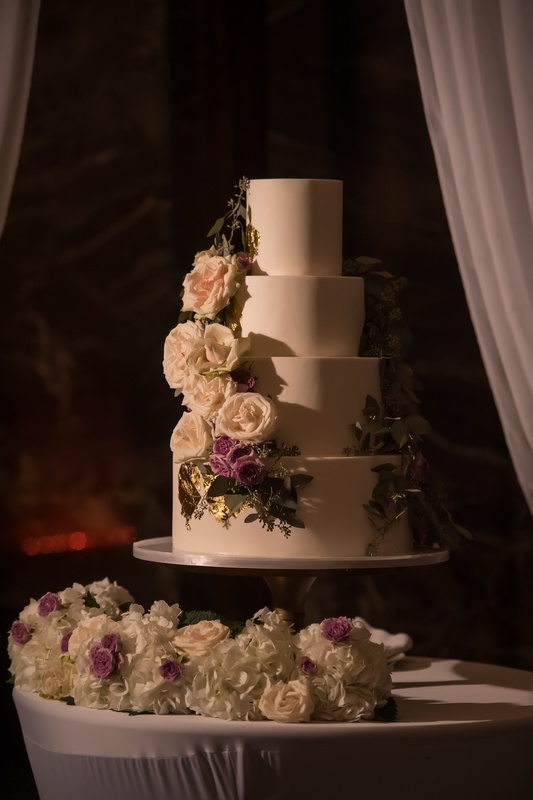 The bride and groom’s wedding cake was covered in beautiful flowers in shades of purple and creme with some foliage accents. 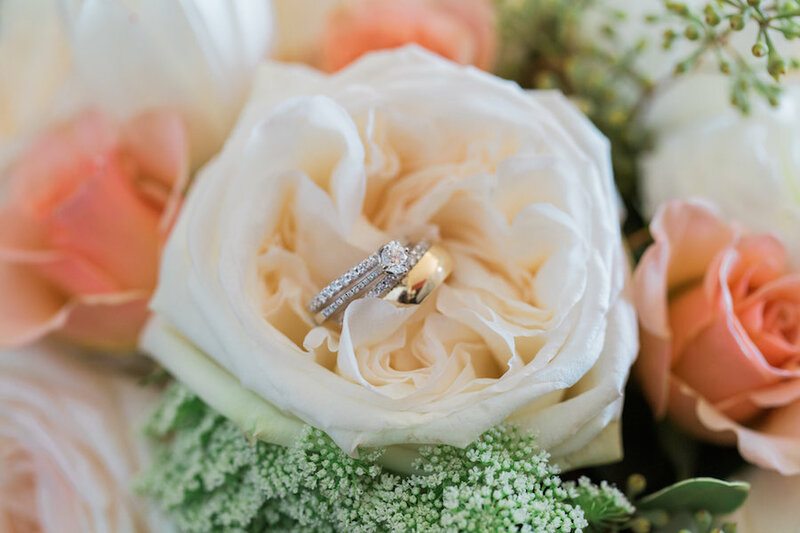 An absolutely classic and elegant day for a gorgeous couple.